If you subscribe to our YouTube channel then you’ll already know that we’ve renamed the ASS2000 to the BADASS2000 as we continue to build it in pursuit of even more speed. 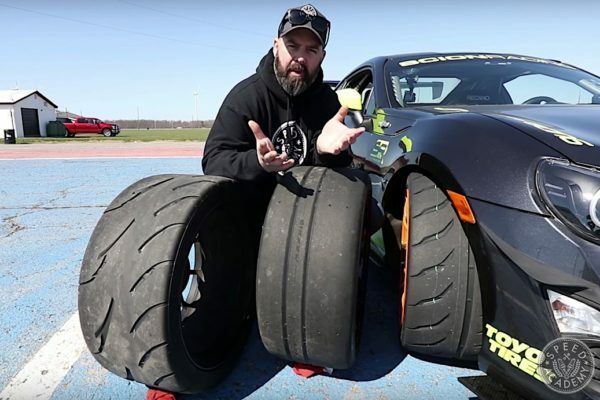 Part of the badassery will involve installing wide fenders and wider wheels and tires for more grip and a cleaner exterior package, as well as further refining the aerodynamics and lots of other small but meaningful changes. 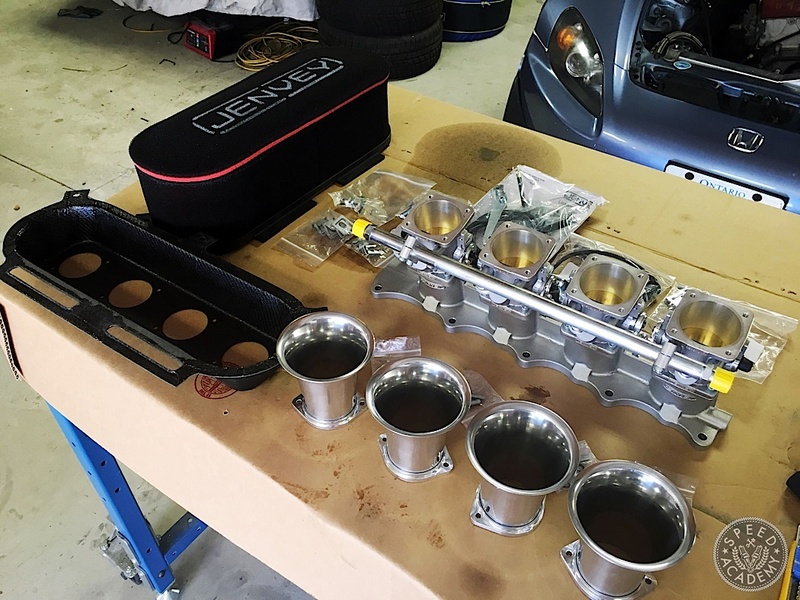 But before we get to any of that, first we need to tackle the Jenvey individual throttle bodies installation, and since controlling the ITBs properly means going to a standalone ECU, we’re kicking off the festivities with the installation and baseline dyno tune of an AEM Infinity engine management system. 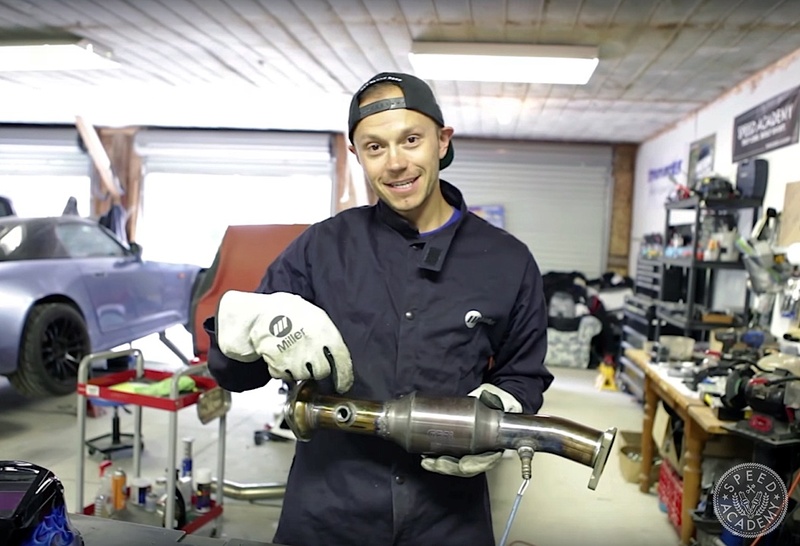 As you’ll see in the first video at the end of this story, before we installed and dyno tuned the engine using the Infinity we pulled the Vibrant GESI catalytic converter equipped mid-pipe out of the car and added a bung for the wideband o2 sensor kit from AEM so that we can plug it directly into the Infinity’s S2000 specific Plug & Play harness (more on that in a bit). 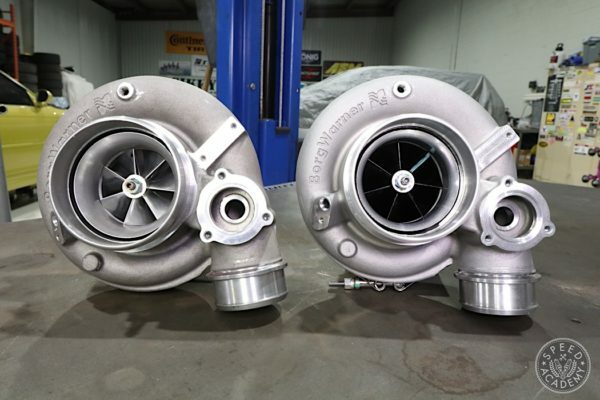 For any of you shop owners or business owners who want access to wholesale pricing on Vibrant GESI cats, AEM ECUs and a massive lineup of other go-fast goodies, Turn14 Distribution is the answer. 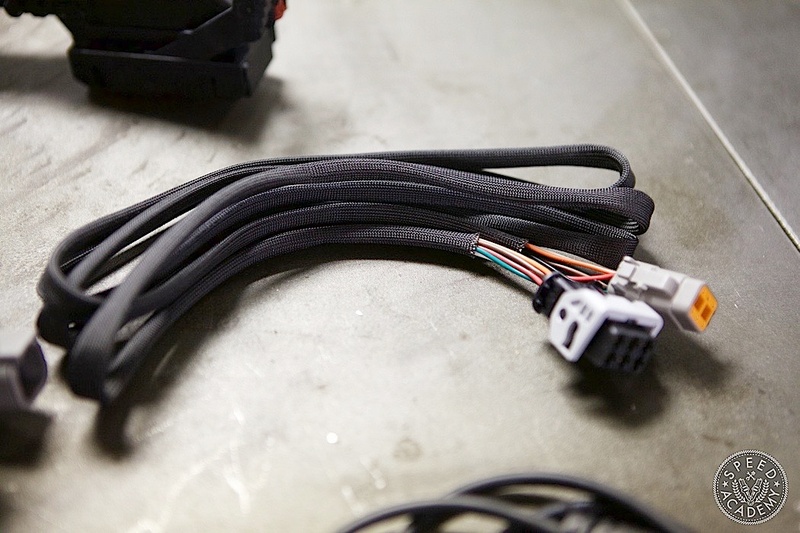 To connect the o2 sensor to the Infinity we simply ran the supplied subharness from the sensor through the firewall via the same grommet the main harness passes through and down to the outer footwell area on the driver’s side where the ECU lives. From there we headed to Total Motor Werkes in Aurora, Ontario where Sasha from OnPoint Dyno met us with his portable Dynapack setup. 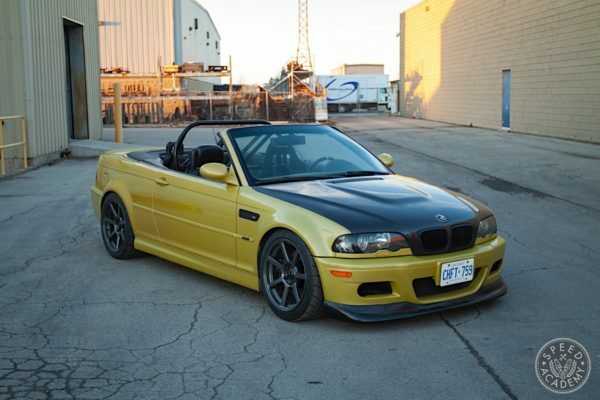 Usic and the crew were kind enough to let us use their shop for tuning, so Sasha crawled under the dash and pulled the factory ECU and plugged in the Infinity using the AEM Plug & Play harness that’s included as part of the S2k PnP kit. 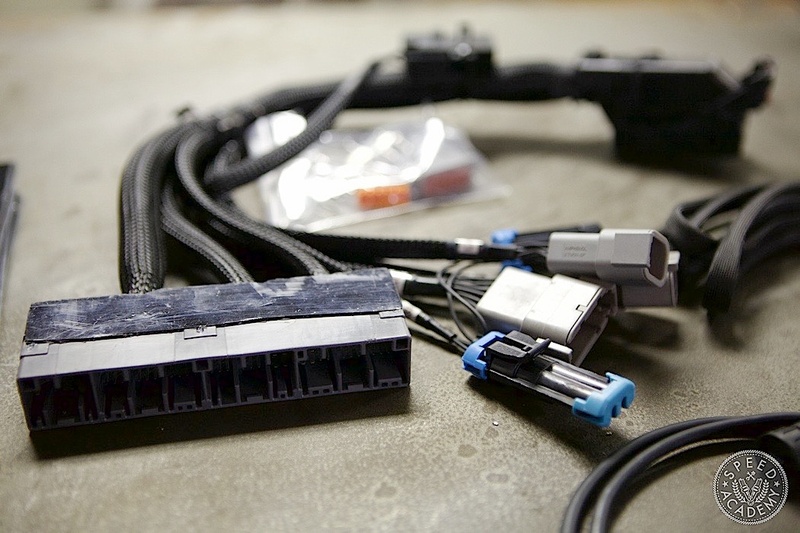 This means there’s no cutting or splicing required, simply plug one end of the AEM harness into the factory harness and the other end into the Infinity ECU and done. Oh, and we plugged the o2 sensor cable into the labelled plug on the PnP harness as well. Easy Peasy Parcheesi. For us a big part of the appeal of the Infinity is how powerful and complete it is, so no matter what we do to our S2000 in the future the Infinity can handle it. 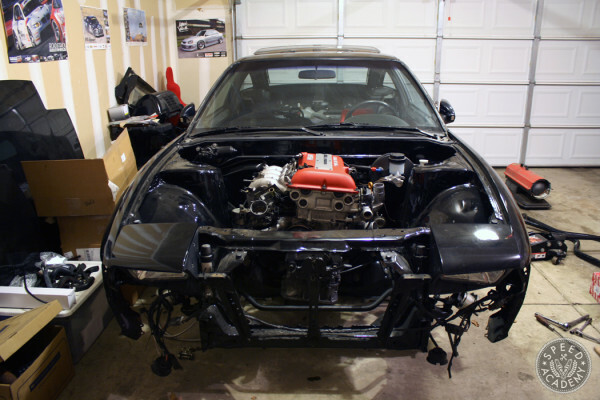 For example, lets say we go fully mental and decide to add forced induction on top of the individual throttle bodies. That’s no problem for the Infinity, since it has integrated boost control using two 2D base duty tables and two 2D boost target tables. The second tables can be used as a trim, and we can choose from multiple strategies including IAT, MAP, Baro (kpa), throttle %, flex fuel content, boost target and more. Or instead of boost lets say we want to add Nitrous to the mix. No problem there either, since the Infinity is capable of controlling a single-stage wet or dry nitrous set up and has nitrous timing delay to account for nitrous bleed out, plus it can be set up for water/methanol injection tuning as well. Point being, the Infinity is a true all-in-one solution for engine management and we’ll never outgrow it or need to add onto it regardless of how bonkers we go building this car. It’s also equipped dual knock sensing circuits that are highly sensitive and able to filter out noise to a very high degree, so on a tricky setup like a boosted or ITB’d F20C we’d have outstanding knock sensing. And with its integrated engine protection strategies we can further protect our F20C by having the ECU limit RPM, for example, based on engine coolant temperature. There’s also a fuel cut feature to protect against overboost situations as well as engine protection for fuel and oil pressure. 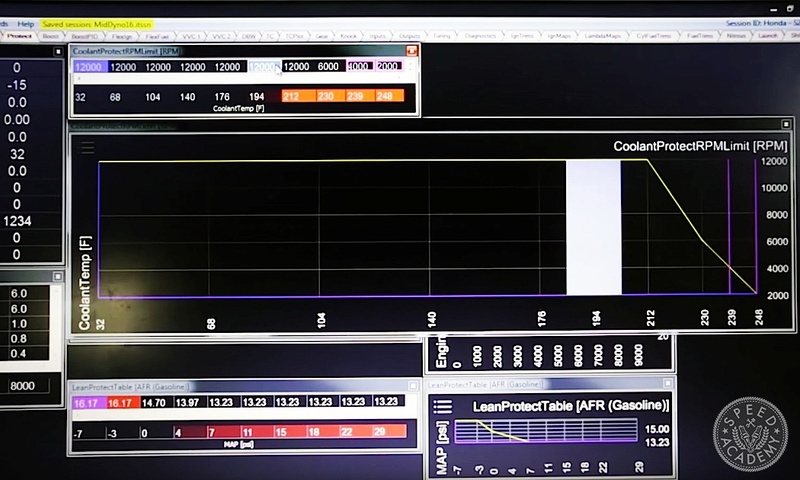 As you can see, there’s even a Lean Protect Table that uses fuel and ignition cut if the air/fuel ratio climbs above a level you and your tuner are comfortable with. Keep in mind, all these engine protection features are fully customizable, so you get to set when and how they kick in. 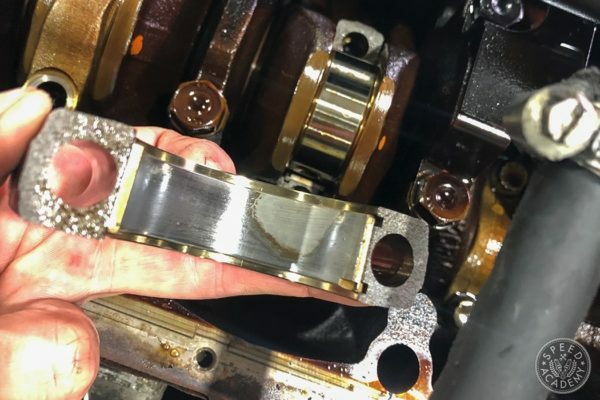 AEM is literally making it as difficult as possible to blow your engine up, something my wallet and I could have seriously benefitted from 10 years ago when I was blowing up Honda engines like a clown at a balloon party. 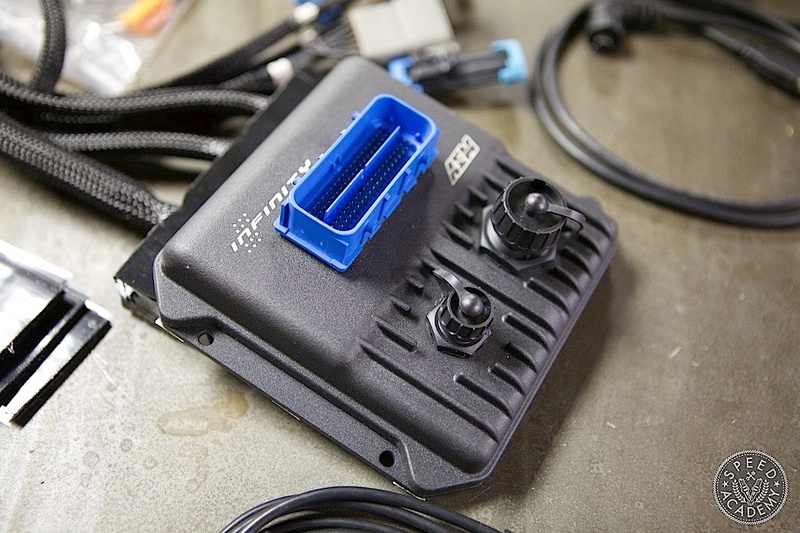 One of the other benefits to the Infinity PnP setup for the S2000 is that it comes with a start up map, so you can simply install the ECU like we did, use the Set Up Wizard like Sasha did, and then turn the key for party time on the dyno. And that’s exactly what we experienced when installing the Infinity in the BA2k, which meant Sasha could move on to the fun part of optimizing fuel, ignition, and cam timing for maximum power. Speaking of, it’s important to note that unlike older engine management systems that use injector pulse-width as the basis for tuning, the Infinity uses a volumetric efficiency (VE) or airflow model based tuning system. This means instead of working with injector-on time in milliseconds, which in numeric terms really doesn’t tell you anything useful about whether the fuel mix is rich or lean (is 6ms of on-time rich or lean? Um, I dunno! 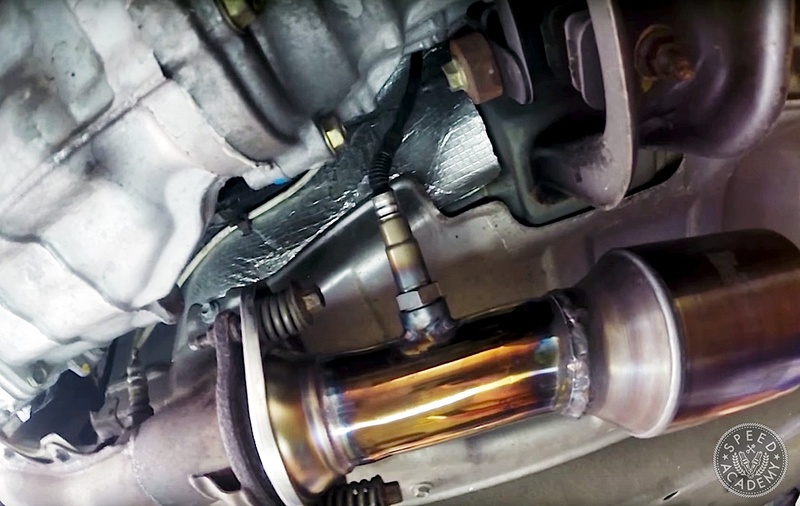 ), with VE based tuning you characterize the engine in the software based on the number of cylinders, engine displacement as well as fuel setup in order to estimate airflow or the volumetric efficiency of the engine. From there its up to you or your tuner to refine the VE map by loading the engine on the dyno at a variety of engine speeds to see where it’s most/least efficient throughout its powerband, and once you’ve dialled that in you can set your target air/fuel ratio and the VE table will ensure the engine runs at that AFR regardless of RPM or engine load. For a more detailed explanation of VE based tuning, check out the video above. It’s 4-minutes well spent. It didn’t take Sasha long to refine the VE table to his liking, and the results were rock solid. 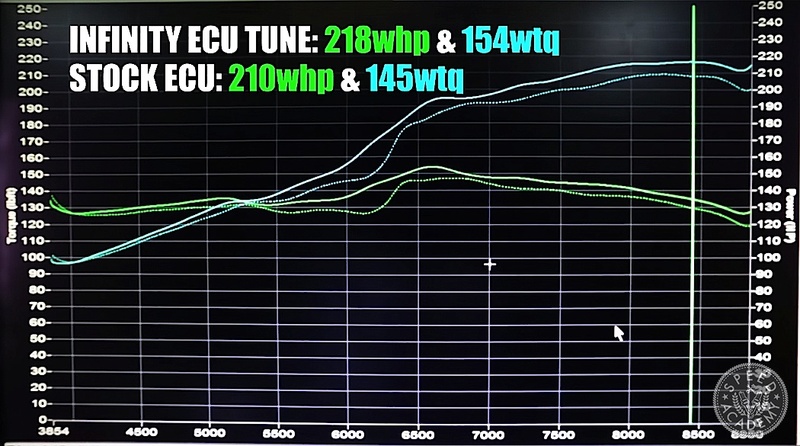 Compared to the power we made after installing the AEM intake and Tanabe exhaust, peak wheel horsepower increased by 8-whp and peak torque grew by 9-wtq, plus you can see Sasha tuned out the dip in the powerband between 5500 and 6500 before VTEC engages. 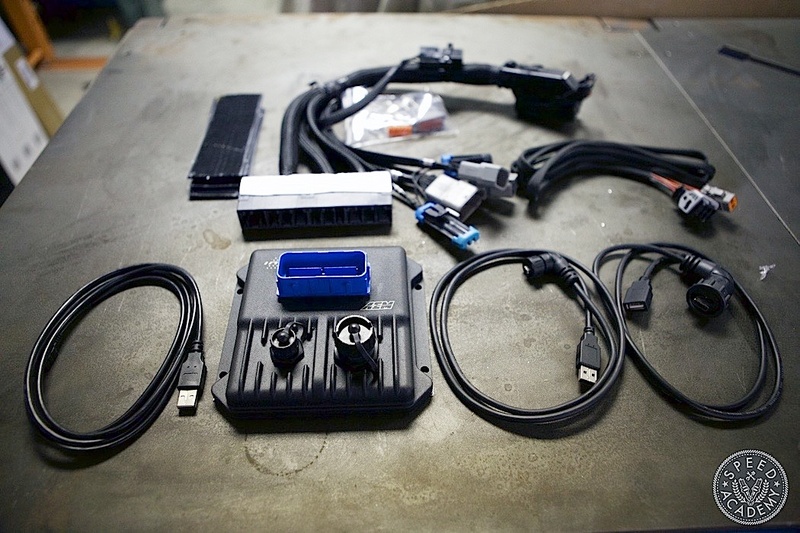 Some of the gains can also be attributed to the Infinity’s 32-bit 200MHz processor (capable of up to 4-million instructions per second), which allows for more accurate ignition timing and higher resolution fuel control (it calculates injector pulse-width in units of 1/10th of a microsecond). 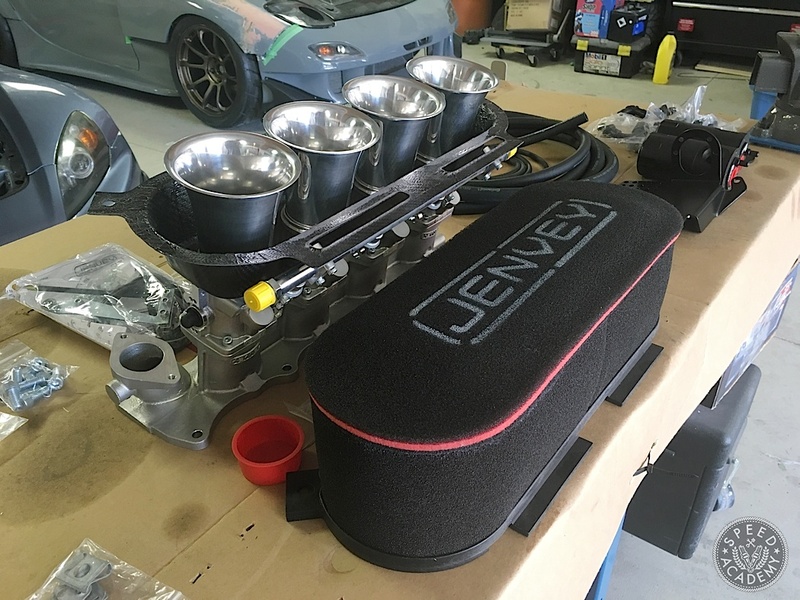 But of course there’s a lot more to come once we install the Jenvey ITBs and have Sasha retune for what we hope will be a significant upgrade to our F20C’s airflow and thus volumetric efficiency. Plus we’re looking forward to trying the Infinity’s built-in Launch Control and Traction Control systems, both of which have potential benefits for autocrossers, time attackers and drag racers. 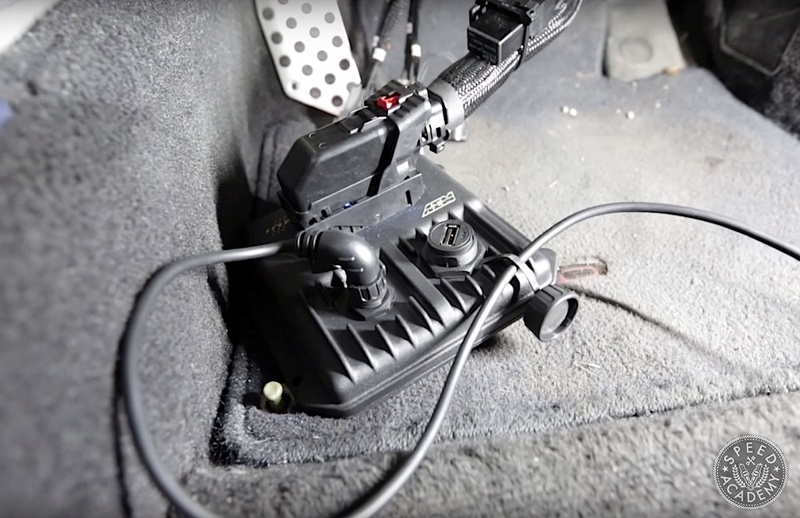 Next up we’ll show you the Jenvey ITB installation in as much detail as we can along with a Radium Engineering dual catch can setup, but in the meantime check out our videos covering the installation and tuning of the AEM Infinity.